Your smile is a recognizable feature of who you are, and it leaves a lasting impression on those you encounter – whether it be day to day or on a chance meeting. Because your smile is an integral feature of your facial appearance, feeling confident in your smile has a great impact on others around you. If you are known for easily sharing your smile with others, people view you as friendly, confident, out-going, and as someone they are happy to be around. However, if your dissatisfaction with your smile keeps you from sharing it with others, people may often view you as standoffish, cold, unfriendly, and hard to please. Understanding how your smile affects not only your appearance, but also your relationships with others, can help you make the decision to seek out cosmetic dentistry procedures. Teeth whitening is the most popular cosmetic procedure done in the United States, period. As a dental procedure, dentists have continued to see a rise in the number of patients who request this cosmetic dentistry procedure. Millions of Americans have had great success transforming their smiles by simply brightening and whitening their teeth. Even those whose teeth are not perfectly straight can achieve remarkable benefits from teeth whitening. A bright, white smile is a clean smile that is healthy in appearance; attracting others to your presence. For most people, teeth whitening is a simple cosmetic dentistry procedure that is inexpensive and quick. Dental veneers are another option for dramatically improving the appearance of your smile. 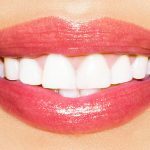 Dental veneers are very thin porcelain shells that are permanently bonded to the existing surface of the front of the teeth in order to restore or improve the tooth’s appearance. Most people are good candidates as long as there is enough tooth enamel available to bond the veneers to. Dental veneers are used to close gaps in the front teeth and hide flaws such as chipped or broken teeth, malformed teeth, and stained or discolored teeth. Porcelain dental veneers are a permanent solution that can completely transform the entire appearance of a person’s smile, or that can be used to treat a single tooth so that it matches the other natural teeth. White fillings, also known as composite fillings, are tooth colored fillings used to restore cavities and decayed teeth. White fillings provide an ideal solution for those who need to have a cavity filled within their front teeth. As these teeth are the most noticeable, using white fillings helps to hid dental work. Aside from simply filling new cavities so that they are not noticeable inside the mouth, many people are choosing to replace their old, amalgam fillings. Amalgam fillings are made from liquid mercury, powdered silver, tin, and copper. Many people believe that they suffer poor health from having these amalgam fillings inside their mouths for extended periods of time; thus, they are replacing them with white fillings. Six Month Smiles® are braces for adults that focus major improvements on the front teeth. Traditional braces can take between two to three years to complete their transformation of a person’s smile. That means that adults have to suffer through that length of time wearing metal brackets and wires on their teeth that make it obvious that you are undergoing orthodontic treatment and the constant requirement for adjustments and visits to the dentist. With Six Month Smiles® dental patients are able to achieve a beautifully straight smile that they are proud to show off to those around them. At Pure Dental Health, we offer cosmetic dentistry procedures at competitive prices. The health and satisfaction of our patients are our highest priorities. We accept most forms of dental insurance and offer extended hours to allow working professionals time to visit our office before or after a traditional work schedule. We also proudly offer financing and payment options for patients whose dental insurance does not cover the cosmetic procedure that they wish to have done. Please contact our office today.